Happy New Year everyone! Did you make a resolution to always roll low and rally well? How's that workin' out for you so far? We can think of no better way to welcome the new year than to enjoy the second part of our interview with Steve Dethlefsen of Heat of Battle. 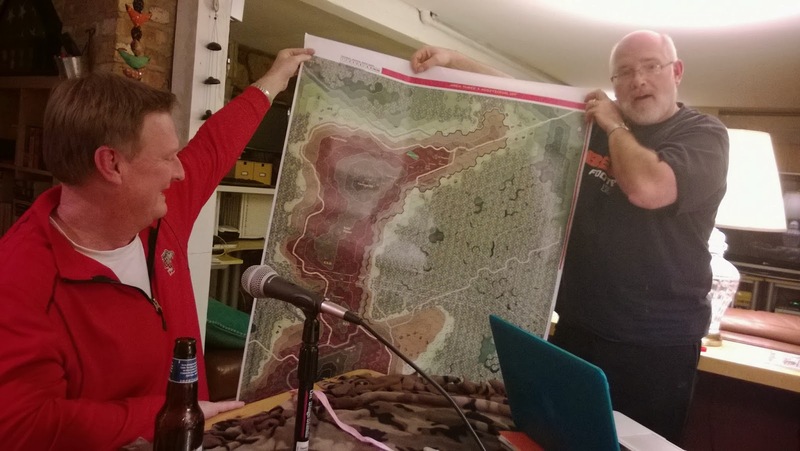 Fortress Cassino: The Road to Rome, Berlin: Red Vengeance and Onslaught to Orsha are just a few of the many HOB products we discuss in this episode. The real gem though is an titillating and insightful glimpse at the Kohima game still in development. And things stay interesting as the conversation turns to such topics as why we study WWII so much, and the nefarious Nestor Makhno. How's that for a kick-off to 2014? Cheers! Or, as we like to say, Clink . . . and DRINK! HAPPY NEW YEAR!!! Jeff, Dave & Steve. Interview with Steve and especially the description of "Berlin:Red Vengeance" brought back many memories of gaming with my old group. Too bad I parted with that fine item many years ago. The Soviet Fanatics attempting to raise their banner on the Reichstag!! Hurrah!!! I will have to check out the "After the Battle" books. Hope everyone has a Happy, Healthy and Safe New Year! Stay warm in Chicago... stay inside and play some ASL. Clink and Drink!!! Keep up the dull work guys! I had a great time listening to the two interviews with Steve Dethlefsen - an old school ASLer - I recall the early HOB days when there was little being produced and it was very interesting to hear some of the inside stories. Happy New Year from Scotland! Good rolling for 2014!